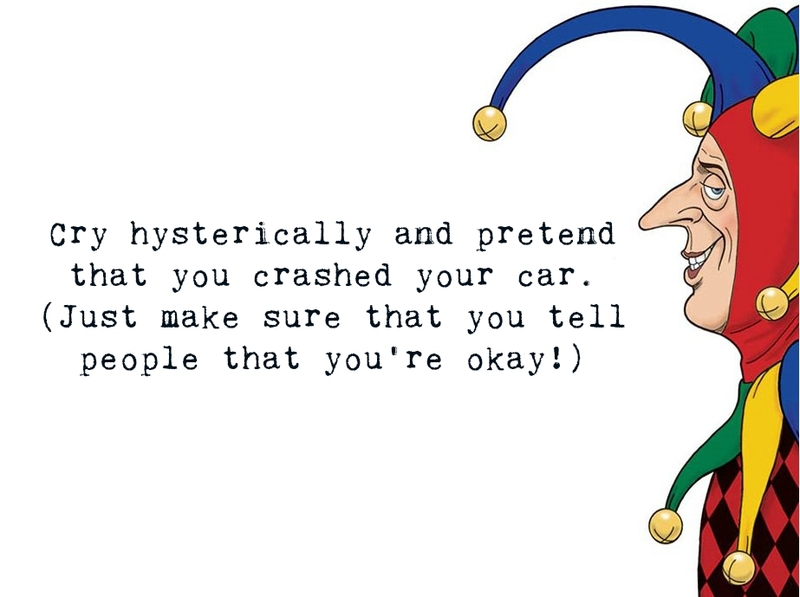 Come April Fools’ Day, don’t miss to crank up these funny (most of the time, annoying) jokes to your partner, family and friends! With the help of these April Fools’ Day jokes, for sure, you’ll be getting the highest mark for the wittiest yet most maddening award this year. Are you ready to pump up the fun and scream ‘Happy April Fools’ Day!’? Try covering an open toilet bowl using a clear plastic wrap and overhear who’s the first victim to scream. Tell your partner, straight in the eye without cracking a smile, that you lost your engagement ring. Change someone’s ringtone to something weird and obnoxious. Don’t forget to crant it to the fullest volume to double up the fun. Put some plastic wrap across the doorway and witness how many people struggle to get through the path. Send a picture of a spooky and sickly animal and tell them that you’ve adopted this creature. Make use of the hole puncher dots and splash them into someone else’s car defroster. And, ta-da, snowstorm! Borrow your friend’s phone and set as many alarm as you want, starting with 12 midnight to welcome April 1 with a bang. April 1 will always be one of the most anticipated days in a year, especially for those who were victims of last year’s April Fools’ Day. It’s payback time, isn’t it? The history of April Fools’ Day has long been running for many decades now but it became immensely popular during the 19th century. This annual event is largely celebrated by western and European countries, and without a doubt, it is the best day to pull off your best prank, play some practical jokes, and spread shocking hoaxes. And if you’re lucky enough to complete your pranks and jokes, then list down all your victims in your ‘April fools’ list. But remember, April Fools’ Day is not a public holiday, unless you make a joke out of it.